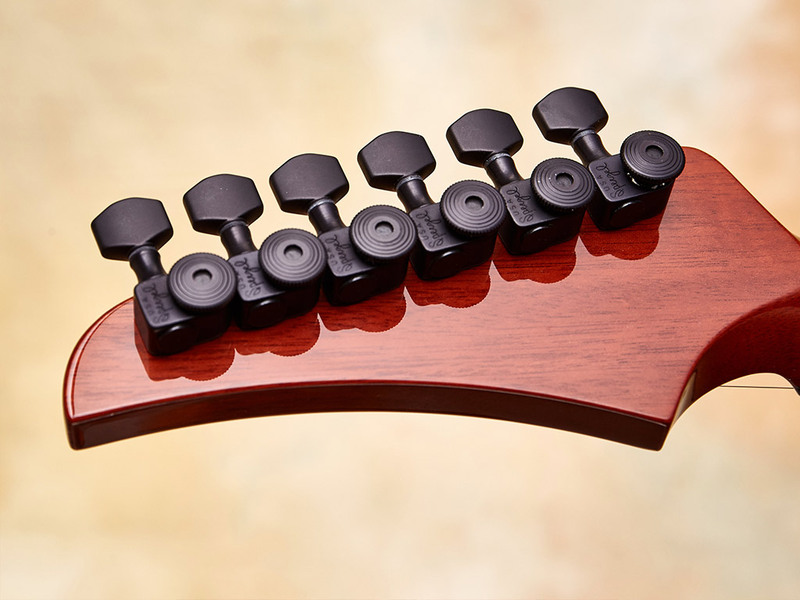 My Neck-through model came to life through my search for a guitar with a seemingly endless supply of clear ringing sustain. 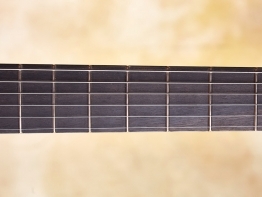 After many rounds of experimentation, it became clear to me that the best way to allow the sound and vibrations to travel throughout the guitar was to minimize the amount of joinery between multiple pieces of wood. 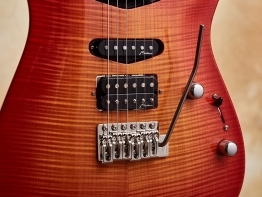 I found that the majority of vibrations that get lost as they travel the length of the guitar, do so where two pieces of lumber connect to one another. 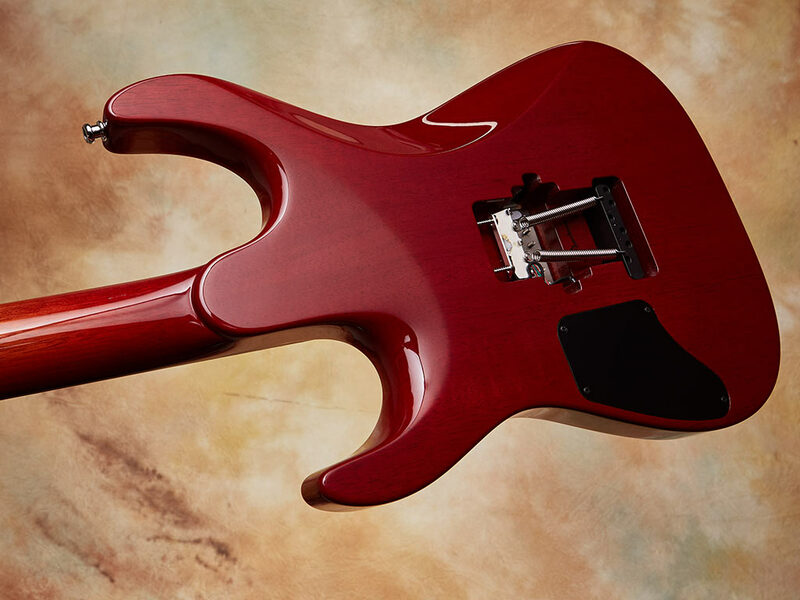 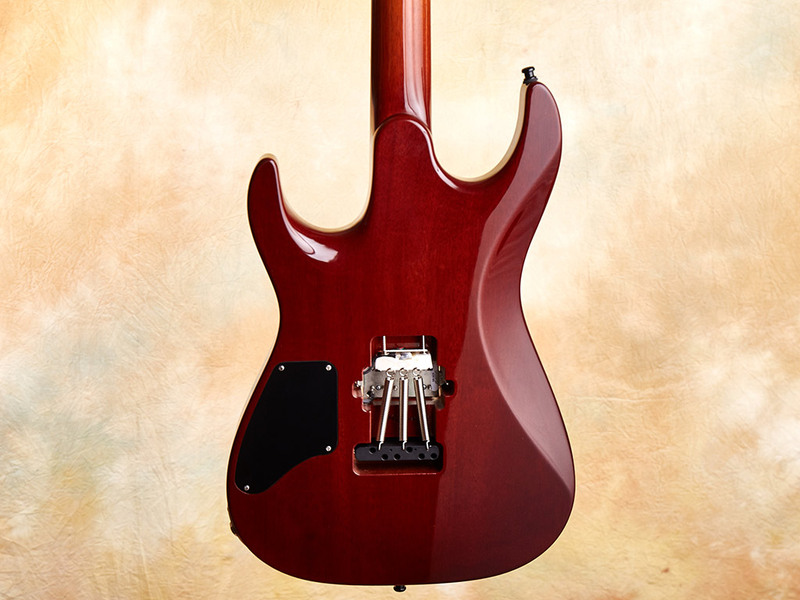 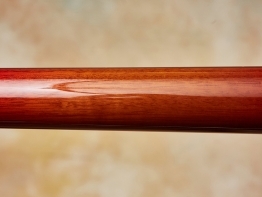 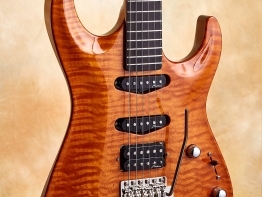 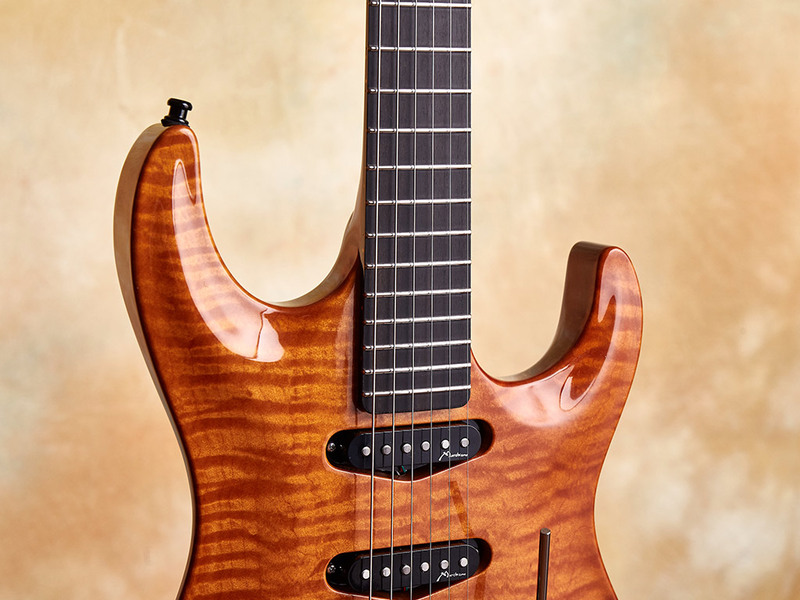 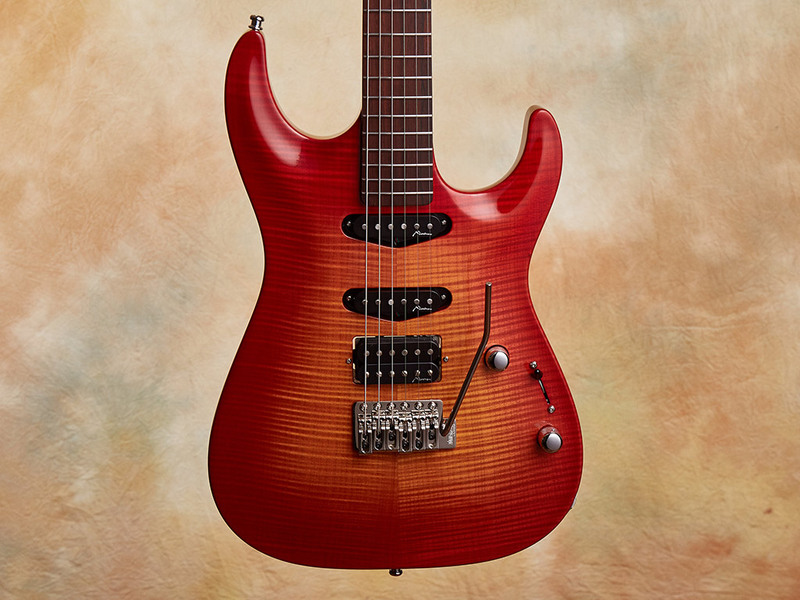 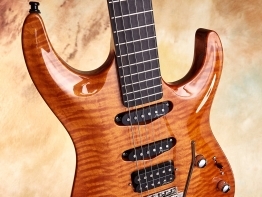 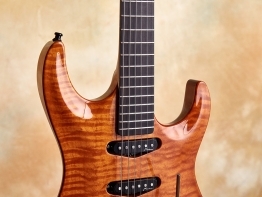 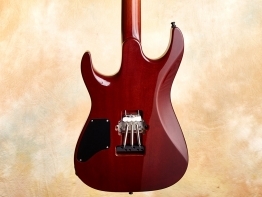 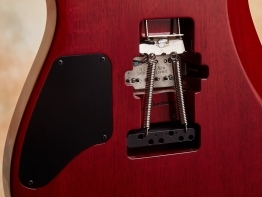 Immediately it struck me – how better to achieve sustain than by eliminating the neck joint that so often plagues even the most well designed guitars. 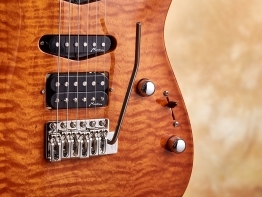 By building a guitar such that the machine heads, nut, fingerboard, pickups and bridge were all attached to the same single piece of wood, I was able to bring my dream of beautiful long-ringing sustain to fruition. 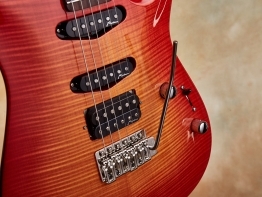 The Set Neck Electric guitar has a thick neck tone and incredibly long ringing sustain. 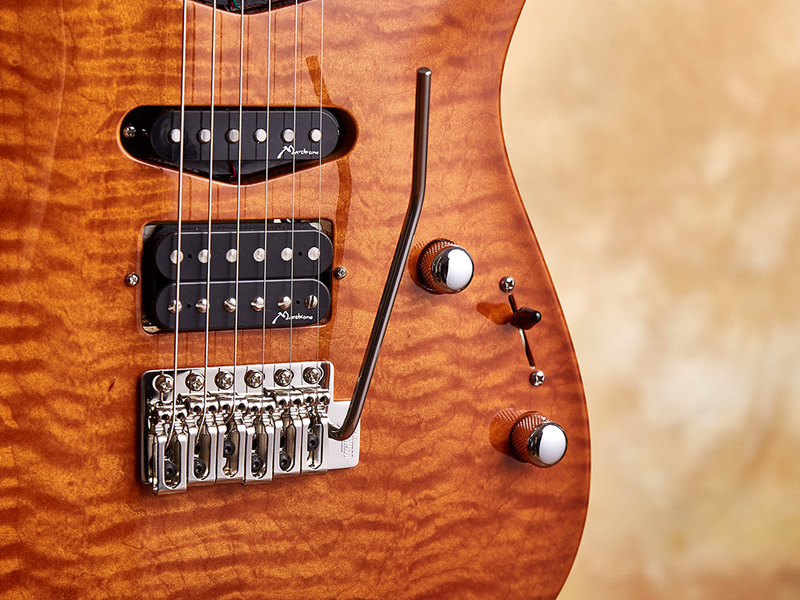 From deep clean jazz tones to modern crunchy bliss, this guitar delivers an incredible tonal spectrum that is sure to delight even the most fervent of nonbelievers. 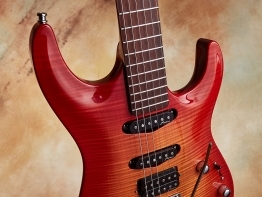 This guitar is able to distinguish and translate all the subtleties that most guitars cannot register. 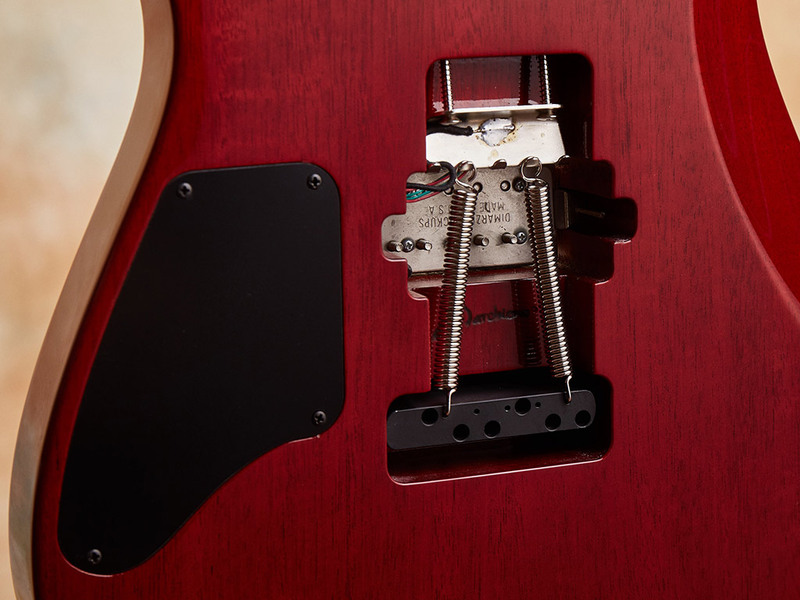 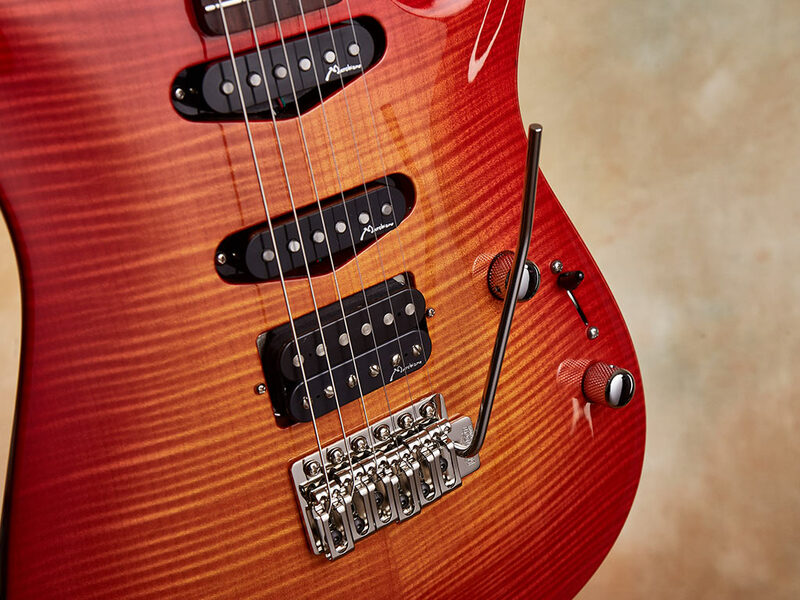 The stability inherent in Neck-through construction ensures that this guitar stays in tune and continues to deliver under even the most demanding of conditions. 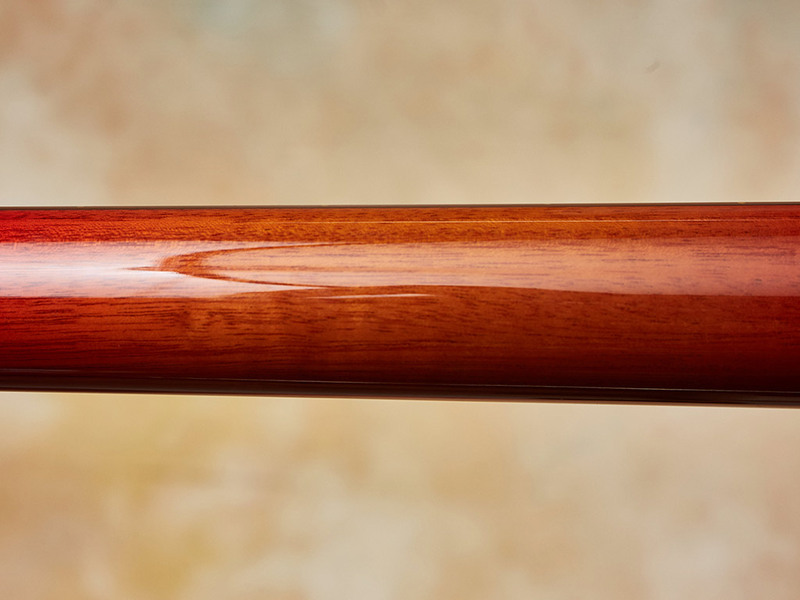 I also offer a one-piece model with the entire guitar, neck and body alike, carved out of a single piece of old growth Mahogany. 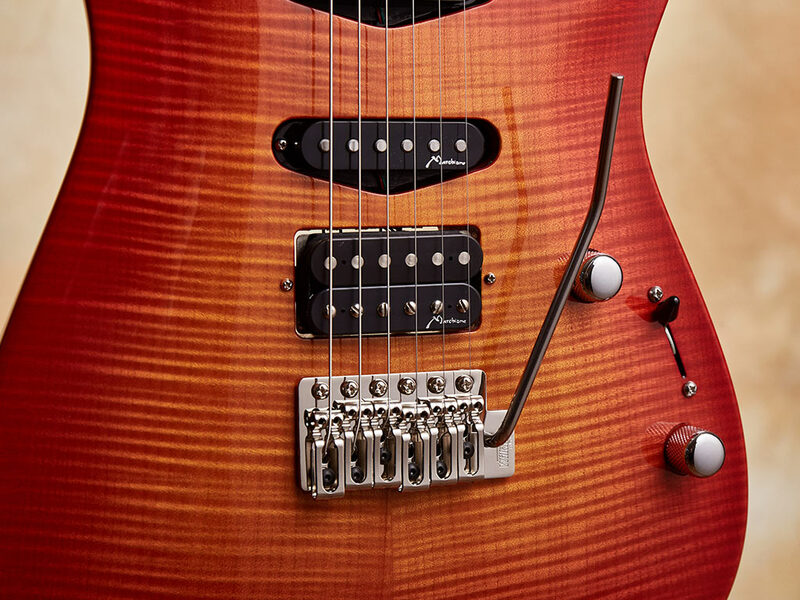 Both models are available with either a proprietary Marchione stop tailpiece or a Wilkinson Tremolo. The pickups are custom designed, hand wound Marchione humbuckers. They deliver a warm and incredibly focused tone. 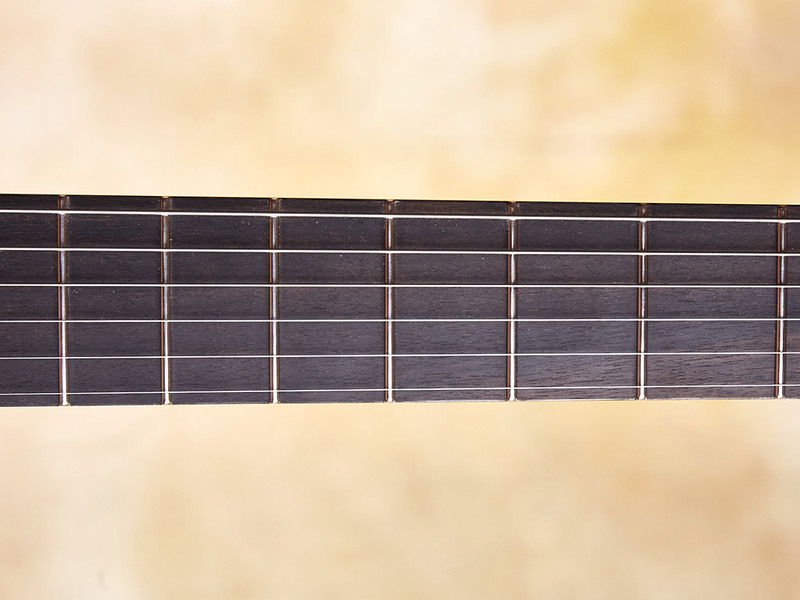 You’ll hear chords like never before; you’ll actually be able to discern each note on its own and as part of the greater whole. 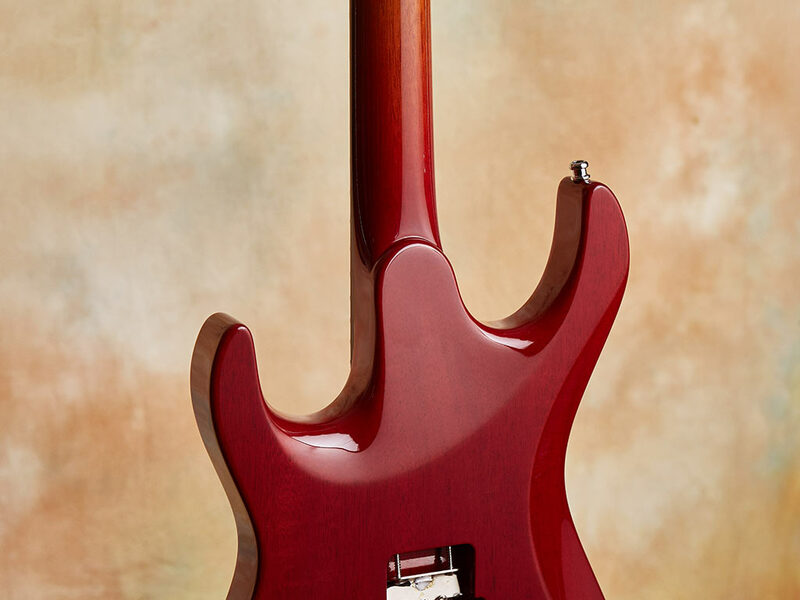 I have built over 400 recording level instruments and back in my repair days, brought countless stock and factory custom shop electrics up to recording standards. 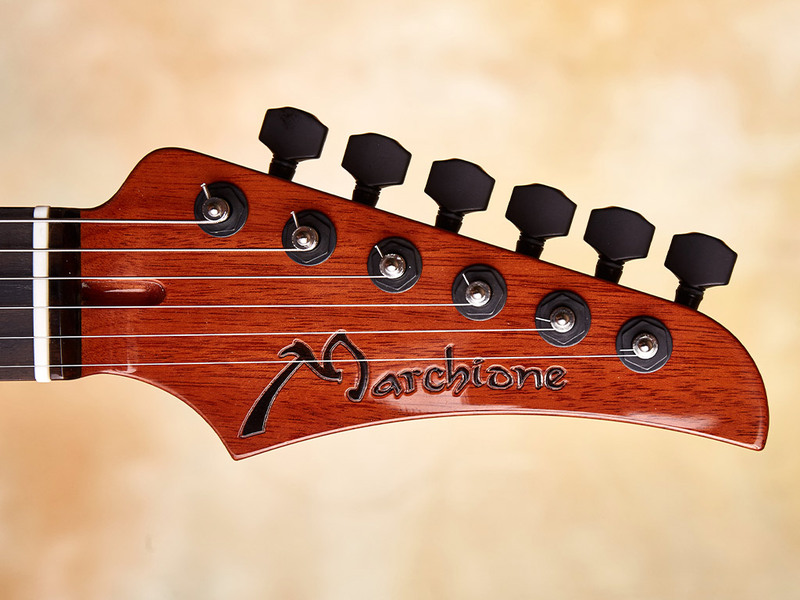 I honestly believe that the Marchione Neck-Throughs are truly exceptional electric guitars, and I’m confident that you will too.